Have you ever eaten in a restaurant, hotel or a cafe that you forget to bring money and only bank card to pay. But you are afraid of theft of your account information or a pin. Either way you feel the service charge for the third party is too high. The XRT project was set up to solve that problem. So. What is the XRT. XRT Foundation is a public serving online food payment platform founded by two young and enthusiastic entrepreneurs ‘MJ Paul’&’A.kumar’. It seeks to be partnered with the big companies working in food sector, using its own cryptocurrency named XRT. It aims to solve the vital payment problems occuring in Food industry where the XRT coin will be the substitute of ‘card n cash payments’. XRT is a decentralized peerto peer ERC-20 based token created by XRT Foundation which especially worksin food sector. It seeksto improve the digitalization of crypto currenciesin the field of food sector through its advanced mobile application. XRT will be used as a payment mode forthe Hotel and Restaurant industry. whether he is a customer or owner. 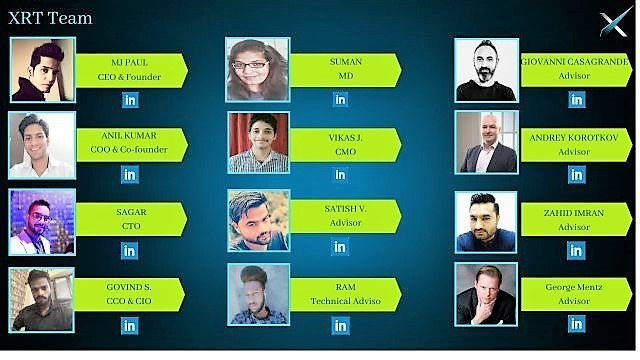 Team is coming with a very unique concept that will make XRT very popular and usable in the digital world as well as reality. Ambition has become the largest payment platform in the food industry in Asia. To achieve this goal, Team is making the platform as flexible as possible by providing all the favorable conditions for digital payment. Even customers can get rewards and other benefits to keep their XRTsin wallet. We are researching such features. It will benefit both the customer and the owner. 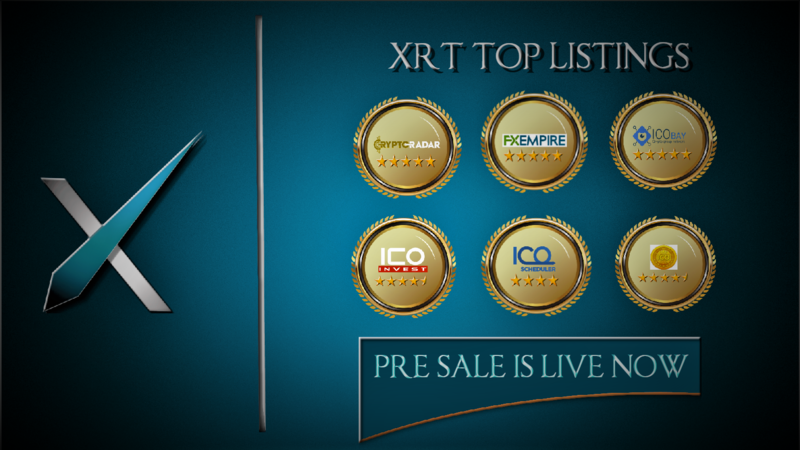 The XRT Token is affordable in its initial offering, but the team has planned for their success in terms of price. The project wants to make XRT reachable. XRT coins based on the Ethereum protocol allow them to begin trading without additional procedures. We have analyzed market conditions and integrated successful strategies with our project to accomplish the estimated goal. The XRT will work with and associate with 2000+ food giants by the end of 2020. They are making every effort to meet the development goals of the XRT Foundation and easily accept XRT in many restaurants. bars and cafes. In addition, companies not involved in the food industry will also be served at the XRT platform if they are appropriate or beneficial for the future development of the XRT Foundation.